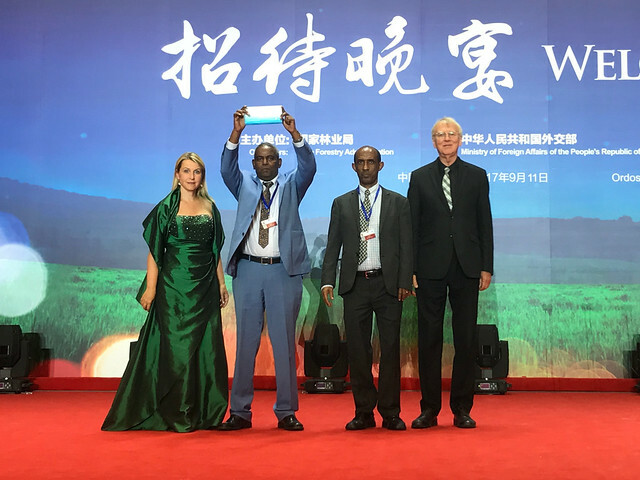 Hamburg / Bonn / Ordos, 22nd August 2017: More people, less erosion – Ethiopia’s Tigray region demonstrates that this can be a reality: They will take home the Gold Future Policy Award 2017, beating 26 other nominated policies to the prize. Also known as “Oscar for Best Policies”, the Future Policy Award highlights the world’s best policies that combat desertification and land degradation this year. With unique collective action, voluntary labour and the involvement of youth, the people of Tigray are restoring land on a massive scale. As a result, erosion has decreased significantly, groundwater levels are recharged, and the uptake of sustainable agricultural practices made a significant contribution to food self-sufficiency and economic growth. China’s Law on Prevention and Control of Desertification, the world’s first integrated law dedicated to combating desertification. Over the last 15 years, China has reversed the trend of desertification. 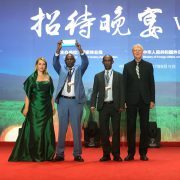 The Vision Award goes to the international “4 per 1000” Initiative which communicates a new concept for mitigating climate change through the increase of soil organic carbon. Niger’s large-scale, cross-sectoral 3N Initiative ‘Nigeriens Nourishing Nigeriens’ addressing land degradation and food security. The six shortlisted policies are from Australia, Brazil, China, Ethiopia’s Tigray Region, Jordan, and Niger. 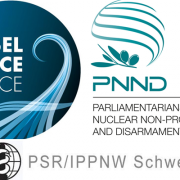 The international 4 per 1000 initiative is also contending for the Future Policy Award. The prestigious award, which focuses on a different area of policy progress each year, celebrates exemplary laws that create better living conditions for current and future generations. 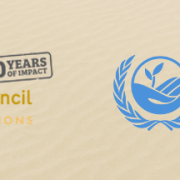 For this year’s award, the World Future Council teamed up with the United Nations Convention to Combat Desertification (UNCCD) to highlight laws and policies that contribute in two ways. First, laws that protect of life and livelihoods in the drylands. Drylands cover close to 40 per cent of the Earth’s land and are extremely vulnerable to over-exploitation, inappropriate land use and climate variability. They are among the most conflict- and drought-prone regions of the world. Droughts, which are getting more severe, frequent and widespread with climate change, are common in drylands, and can amplify tensions within and between communities. In the last century, droughts killed more people than any other weather-related catastrophe. Second, laws that advance Sustainable Development Goal 15, target 3, which is to combat desertification, restore degraded land and soil, including land affected by desertification, drought and floods, and strive to achieve a land degradation-neutral world. Political instability, deforestation, overgrazing and bad irrigation practices can all contribute to desertification. Without action to restore and rehabilitate degraded land, an estimated 135 million people are at risk of being displaced by desertification. Australia: Indigenous Protected Areas programme and Working on Country Indigenous Rangers programme. Indigenous Rangers are at the forefront of tackling environmental degradation right across Australia. 75 Indigenous Protected Areas now make up more than 44 per cent of the National Reserve System and have created the world’s largest contiguous area of protected arid land. Brazil: Cistern Programme and the National Programme to Support Rainwater Harvesting and Other Social Technologies for Access to Water. This programme is a participative, bottom-up way to provide water for consumption and for growing food and keeping livestock. It empowers millions of the poorest people in the region to be in control of their own needs, to generate income and enhance their food security. China: Law of the People’s Republic of China on Prevention and Control of Desertification. This is the world’s first integrated law dedicated to combating desertification. It provides a framework for China’s National Action Programme and a host of projects aimed at rehabilitating at risk land. Over the last 15 years, China has reversed the trend of desertification. It is no coincidence that the country lifted more than 700 million people out of poverty during the same period. Ethiopia’s Tigray Region: Conservation-Based Agricultural Development-Led Industrialization supported by Mass Mobilization Campaigns and the Youth Responsive Land Policy More people less erosion. 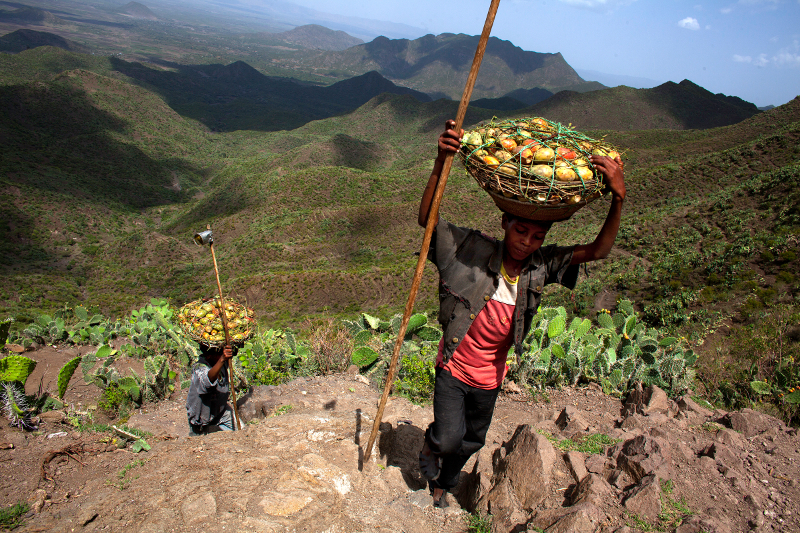 The Tigray region’s interpretation of Ethiopia’s development strategy focusses on food self-sufficiency and economic growth by conserving land and promoting sustainable agriculture. With unique collective action, voluntary labour and the involvement of youth the people of Tigray are restoring land on a massive scale. International: The 4 per 1000 Initiative: Soils for Food Security and Climate. This awareness raising, high-level political initiative communicates a new concept for mitigating climate change through the annual increase in soil organic carbon by 0.4 per cent in the top 30-40 cm of the agricultural soils. It encourages a paradigm shift in agricultural practice. Jordan: Updated Rangeland Strategy for Jordan. Traditionally, Bedouin people in Jordan effectively govern their rangelands through their own land tenure systems and grazing rights known as “Hima”. The Rangeland Strategy embraces this holistic concept which integrates natural resources, community life, ethics, animal welfare and more. Niger: 3N Initiative ‘Nigeriens Nourishing Nigeriens’ – Strategy for food security, nutrition, and sustainable agricultural development. The initiative is a large-scale and cross-sectoral policy enhancing sustainable agricultural development and socio-economic resilience of farmers and herders. 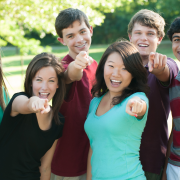 It was developed in an inclusive and participatory process. Since 2011, Niger has reduced the number of people suffering from hunger by 50 per cent. The winners will be announced on 22 August 2017. The award ceremony will take place during the Thirteen Session of the Conference of the Parties of UNCCD in Ordos, China, scheduled from 6-16 September 2017. The Future Policy Award is unique in focusing global attention towards the most effective policies changing lives across the planet. The aim of the award is to raise global awareness for exemplary laws and policies. The policy evaluation is based on the “Seven Principles for Future Just Lawmaking.” Consequently, policies score high not only by promoting the sustainable use of resources but also by addressing equity, eradication of poverty, participation, and peaceful resolution of conflicts. Berlin/Hamburg, June 13, 2017: Today, an alliance of over 30 foundations representing a capital in the double-digit billion range (US dollars) has joined forces with a group of stakeholders from science, business, and civil society to call on the G20 to implement the Paris Agreement even without the US. 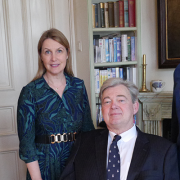 In a joint statement, the alliance – consisting of G20 engagement groups such as the Business 20, Think Tank 20, Women 20 and Labour 20 – criticised the US’ withdrawal from the Paris Agreement as “short-sighted and irresponsible”, adding that the Paris Climate Agreement is indispensable in tackling the global climate crisis. says Johannes Merck, spokesperson of the Foundations Platform F20 and Chairman of the German Michael Otto Foundation for Environmental Protection. The alliance has asked the 19 leading economies to submit revised Nationally Determined Contributions (NDCs) that are sufficient to reach the climate goals set forth in the Paris Agreement, to create a global mechanism on carbon pricing and to agree on a concrete timeline for phasing out fossil fuel subsidies. Furthermore, the group has urged the G20 to enable financial markets to deliver on sustainable development by promoting international disclosure and reporting standards for environmental and climate-related financial risk. The G20 engagement groups consist of international organizations from all G20 countries and beyond. They represent business (B20), civil society (C20), trade unions (“labor”, L20), youth groups (Y20), women groups (W20) and think tanks (T20). The statement was signed by the respective heads of the climate, energy and sustainability task forces of the engagement groups B20, C20, T20 and is supported by L20, Y20, W20 and F20. 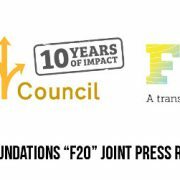 The F20 Foundations Platform was founded in the run up to the G20 summit in Hamburg in July. On 4th July, the Foundations Platform will gather leaders from civil society, business, science and politics at an event in Hamburg. The aim is to demonstrate strong support for the global climate agenda as well as to discuss how to leverage the opportunities and benefits arising from transformational processes. The F20 members are: Rockefeller Brothers Fund (US), the Wallace Global Fund (US), Shakti Sustainable Energy Foundation (India), the Tata Trusts (India), Avina Foundation (Latin America), FARN (Argentina), SEE Foundation (China), C Team (China), Instituto Arapyaú (Brasil), European Climate Foundation (Netherlands), Stiftung Zukunftsfähigkeit, Stiftung Mercator, Foundation 2° – German CEOs for Climate Protection, Michael Otto Foundation for Environmental Protection, WWF, German Federal Environmental Foundation (DBU), the ZEIT-Stiftung Ebelin und Gerd Bucerius and the World Future Council (all Germany) and others. In total, the foundations represent a capital in the double-digit billion range (US dollars). On 07 and 08 July 2017, the most influential industrialized and developing countries will come together in Hamburg for the G20-Summit. Leaders of the 19 largest economies and the European Union will discuss present challenges and future developments. 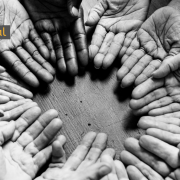 In advance of this influential event, an unprecedented alliance of foundations and philanthropic organizations (F20) has gathered in order to further shape the political discourse on future sustainability measures before, during and after the G20 Summit. Berlin/Hamburg, 30th May, 2017: According to a newly established global platform of foundations, the F20, ‘the G7 summit in Italy has set the stage for the upcoming G20 summit in Hamburg’. 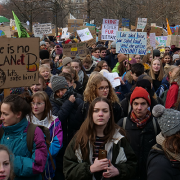 ‘Six of the seven Heads of State have demonstrated their determination to implement the Paris Agreement despite the reluctance of the US administration. It is now up to the most powerful economies to lead in turning the UN Sustainable Development Goals and the Paris Agreement into reality’, they said in a joint statement. On 7th and 8th July 2017 the most influential 20 industrialised countries and emerging economies will meet in Hamburg for the next G20 summit. 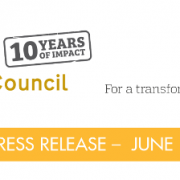 On this occasion, the F20 group of more than 35 foundations and philanthropic organisations from nine countries – the first group of its kind – have joined forces to further advance action on climate change and the global energy transformation. said Laurence Tubiana, CEO of the European Climate Foundation. In 2014, the Rockefeller Brothers Fund announced its decision to divest its more than $800 million fund from fossil fuels and reinvest in clean energy opportunities. Since 2014 more than $5 trillion of managed assets have elected to divest from coal and fossil fuels. Ramiro Fernández, from Argentina and Climate Change Director at Fundación Avina, underlined the important role civil society needs to play within this transformation. Fundación Avina is a Latin American organisation working in Argentina where it hosts several projects on fostering democracy, environmental protection and sustainable development. The F20 Foundations Platform will support the implementation of the UN 2030 Agenda, climate action, and the deployment of renewable energies around future G20 summits. Furthermore, the Foundations Platform objective aims to highlight the strong role civil society is playing in this transformation. Among the participating foundations are the Rockefeller Brothers Fund (US), the Wallace Global Fund (US), Shakti Sustainable Energy Foundation (India), the Tata Trusts (India), Avina Foundation (Latin America), FARN (Argentina), SEE Foundation (China), C Team (China), Instituto Arapyaú (Brasil), European Climate Foundation (Netherlands), Stiftung Zukunftsfähigkeit, Stiftung Mercator, Foundation 2° – German CEOs for Climate Protection, Michael Otto Foundation for Environmental Protection, WWF, German Federal Environmental Foundation (DBU), the ZEIT-Stiftung Ebelin und Gerd Bucerius and the World Future Council (all Germany). In total, the foundations represent a capital in the double-digit billion range (US dollars). On 4th July, a few days before the G20 summit, the Foundations Platform will gather leaders from civil society, business, science and politics at an event in Hamburg. The aim is to demonstrate strong support for the global climate agenda as well as to discuss how to leverage the opportunities and benefits arising from transformational processes. Among the speakers are the economist Lord Nicholas Stern, the sociologist Auma Obama, the author and former advisor to the US government Amory B. Lovins, the Chinese entrepreneur Wang Shi and Kurt Bock, Chair of the B20 Energy, Climate & Resource Efficiency Taskforce and CEO of BASF SE.